Did you know Donyi Polo is the major traditional religion of Arunachal Pradesh? Arunachal Pradesh is quite a big state--just a bit smaller than West Bengal and more than twice the size of Kerala. Still, how little we know about this state that borders China. How many among us are aware that the main traditional religion of Arunachal Pradesh (AP) is Donyi Polo. Have you heard of that? In the last couple of decades, followers of Hinduism, Christianity, Islam and Buddhism have grown at the expense of Donyi Polo. It is commonly referred to as the 'faith of the Sun and the Moon'. Interestingly, here Sun is regarded as Mother while Moon is father. 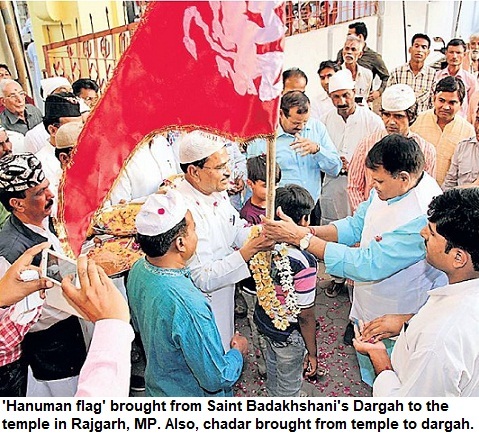 But still, the religion remains one of the most dominant faiths in the state. As converts to other faiths still carry the traditional beliefs. Whenever Arunachal is described, its religious composition is shown in terms of Hindu, Christian, Buddhist, Muslim and OTHERS. And it is these others who form almost 30% of the population of the state, and are carelessly termed as followers of tribal religion or simply as Animist. As per last census, Hindus were over 3.7 lakh, followed by Christians who were over 2 lakh, Buddhism that has nearly 1.5 lakh followers, Islam that has 20,000 adherents. The Donyi Polo religion also has over 3.3 lakh followers. 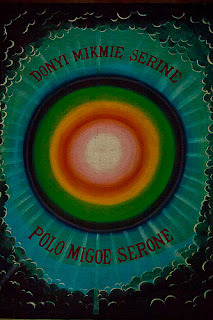 Donyi Poloism is the religion that believes in supernatural. They have their own rites and rituals apart from sacrifices to appease deity. There are legends, myths and practices dating back to centuries. All the tribes of the state have faith in this belief. The Donyi Polo mission is active for several decades. Now there are people converting to this faith and also reverting back. The Donyi-Polo has emerged as a symbol of synthetic force. It represents almighty in its omnipresent, omniscient and omnipotent form. Donyi-Polo is the source of light, generator life, sole protector of all creatures. 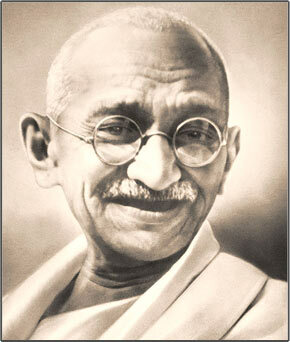 It is the essence of truth, justice, beauty, morality, love and goodness. The uniqueness of culture of North Eastern states is often praised but rest of India still doesn't know much about the beautiful region, except, perhaps, Assam. Apart from names of states and their capitals, little effort is made by us to know more about Mizoram, Nagaland, Manipur, Tripura, Sikkim, Meghalaya et al. Religion is just an aspect. There are big and small states with indigenous population, that have varied customs and culture. There is enormous tourism potential also. However, for us North East remains a distant land. While ending this post, just another addition. Arunachal is much bigger than Haryana, Jharkhand and Punjab and just a bit small than Bihar, but it is 28 times the size of Goa. This could perhaps give us an indication of how little we know about states in our own country. Jyotsana Srivastava's victory from a constituency in Varanasi in the recently concluded Uttar Pradesh (UP) election may not seem significant to you unless you are a Kayastha. After all, when results for the 403 member UP house were declared, she was among the few [three or four] Kayasthas who managed to win. Another contestant, Mukesh Srivastava won from Payagpur while one, Mr Nigam, got elected from Kalyanpur. Now compare this to 1952, when 52 Kayasthas were elected to UP Assembly. 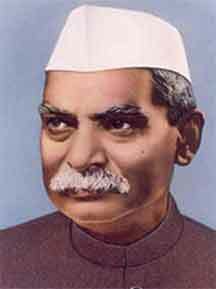 And there were leaders like Rajendra Prasad [President of India], Sampurnanand [UP chief minister], Lal Bahadur Shastri [Prime Minister] among numerous other towering personalities of the community. No wonder, there is a feeling of concern among Kayasthas, who are considered among the forward castes, over their steep decline in representation in Parliament and Assemblies. In Kayastha community's in-house magazines and programmes, there is growing expression of concern over the decline in their influence as also the clout in society. The site suggests that Kayasthas should also form alliances like other groups for electoral success. There is similar concern that is seen at different fora and one could understand the reasons for their worry. Kayasthas are less numerous. But as the word 'Kayastha' literally means, 'writer', the community always stressed on learning. As worshippers of 'pen' and 'ink pot', they earned their living by keeping records and through administrative jobs. Not just in Mughal era and British rule, even earlier wherever there was a Raja, he would keep a Kayastha to keep his office and records. Mughals, especially, relied on Kayasths, who also culturally got close to Muslims and even great Urdu scholars came from this community. Nonetheless, due to their focus on education and their exposure, the Kayasthas, who mostly lived in cities and towns, remained vocal and active in all spheres. There were a host of Kayastha zamindars in pre-independence era in Northern India. The Kayasthas also had a script of their own, Kaithi, which is forgotten now. Even most young generation Kayasthas aren't aware that once there was a much developed script which was used by their forefathers for a long period. Comparatively, the Kayasthas are more in numbers in UP, Bihar and Bengal. However, the Bengali Kayastha doesn't seem affected as much. Or at least, not worried over this decline in representation and less concerned about his caste identity, unlike the UP-Bihar Kayastha. In judiciary and civil services, the percentage of Kayasthas remained quite high. Politically the decline had begun but after VP Singh implemented Mandal Commission report, the Kayasthas' strength in legislatures came down drastically. With middle-level castes asserting themselves other than the backwards, Dalits and Tribals, Kayasthas were no longer getting favour from political parties. Even in urban centres, it was becoming difficult to claim a seat as a person gets ticket on the basis of the numerical presence of his/her caste group in the constituency. Srivastava, Saxena, Mathur, Bhatnagar, Asthana and Nigam were getting replaced by Yadav, Meena, Dangi, Gujjar, Kushawah, Kori, Majhi, Maurya and Balmiki. The scenario is same across the country now, either in Assemblies or Parliaments. In 1952, the first Lok Sabha had 47 Kayasthas. In 1999, the figure was just 5. The first Lok Sabha had 8.7% Kayasthas and in 1999 there were just 0.9%. The change came in a few decades. Though till 1977, their percentage, even after fluctuation, remained substantial, post-1989, their number fell steeply. While the Mandal movement affected all the Upper Castes, none of the groups suffered such a sharp decline in its representation as Kayasthas. The Brahmins, and even Thakurs (Rajput), in comparison, have still managed to retain their hold and numerical strength to a certain degree in politics. For those who aren't aware of the caste system, Brahmins, Banias and Thakurs are the Upper castes. Kayasthas are also considered as an Upper caste. 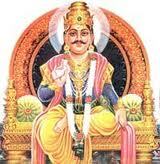 The Kayasthas mainly worship Lord Chitragupta, their patron deity, who keeps a record of good and bad deeds of human beings on earth. One of the most famous Indians, Amitabh Bachchan aka Amit Shrivastav, [son of Hindi poet Harivansh Rai Bachchan is also a Kayastha. And so was the great Vivekananda. Also, other famous Kayastha personalities include Urdu poet Firaq Gorakhpuri, Subhas Chandra Bose, Prem Chand & Jai Prakash Narayan [JP]. Great Indian Heroes: Do Muslims have a place in RSS' vision of India? Sometime back I went to a friend's place and saw a calendar on the wall. The friend saw me looking at it and sheepishly said that someone in his family had brought it. "You know I don't have a Sangh [RSS] link", he tried to explain. Of course, there was no need for him to explain or feel embarrassed over it. But the calendar was interesting. It shows great Indian figures over the ages in a Saffron background. In this map, there are many personalities about whom there can not be any dispute about their contribution to the country. There are some exceptions though but the remaining ones are heroes for all of us, Indians, irrespective of our religious affiliations or caste & creed. One positive thing was that the list had Sikh, Buddhist, Jain* and [even] Parsi heroes. The Hindutva brotherhood has in the last couple of decades tried to co-opt Sikhs and Buddhists, but they still remain wary of Christians and Muslims. There was no Muslim featured though. Isn't that strange! If Mughal kings like Akbar, who had even started a new religion Din-e-Ilahi is not secular enough or Shah Jehan for building the monument that is pride of the country, there is still no dearth of Muslim heroes. Bahadur Shah Zafar was exiled and his sons executed by British. Tipu Sultan was the king who fought the British and was ditched by both Muslim and Hindu powers--Marathas and Nizam, else the imperialists may not have succeeded in India. In 20th century, we have had great freedom fighters, poets, writers and apart from them, the Muslim musicians--from Ustad Bade Ghulam Ali Khan to Ustad Bismillah Khan who kept the legacy of classical Hindustani music alive in this country. Ashfaqullah, Abdul Hamid, Kalam don't qualify? If Ashfaqullah Khan is forgotten, there is a name that can never be contested by RSS also. Havildar Abdul Hamid, the army man who showed exemplary courage in the 1965 war against Pakistan, blowing up Patton tanks, and laying down his life in the line of duty. If Abdul Hamid or martyrs like Brigadier Usman, whose bravery ensured that Kashmir, in the troubled times, remained an Indian territory, are not fit enough, then who is? APJ Abdul Kalam, a thinker, scientist, people's president and the father of Indian missile programme, isn't he worthy enough? Still, its good to see the Akhand Bharat vision getting more inclusive. There have been great generals and superb soldiers but the selection of, Field Marshal late Sam Manekshaw, that represents the Zoroastrians, is indeed interesting. Is it that you could do great service to the nation but if you are a Muslim or Christian, you can't be considered a 'hero'. Of course, everybody has the right to select their heroes. But the calendar represents the inherent apathy towards the two major religious minorities. Among the ancient personalities whose photographs and names are shown in the calendar, are kings like Vikramaditya, Chandragupta Maurya, Rajaraja Chola, Maharana Pratap, Harshwardhan and even Ashoka, who had embraced Buddhism after Kalinga war. Of course, an important personality that has been ignored is Dr BR Ambedkar. It couldn't be oversight. After all, the personalities representing different eras, and different regions, have been selected after quite an exercise. Among freedom fighters the names of Rani Laxmi Bai, Chandrashekhar Azad, Tatya Tope, Bal Gangadhar Tilak. Remaining figures include Maharaja Ranjeet Singh, the great Sikh ruler, apart from Shivaji, Hemachandra, Prithvi Raj Chauhan, Shyamji Krishna Verma, Subhas Chandra Bose, Ahilya Bai Holkar, Krishnadev Rai, Harihar Bukka [founders of the Vijayanagar empire], VD Sawarkar, Pulkesi, Sardar Patel et al. Subhas Chandra Bose was not a Hindu Hero alone, he was a hero for all Indians. Whenever Jhansi queen Laxmi Bai's name is taken, her close confidante Ghouse's name is also remembered. He hadn't hesitated to turn canons to target mosque when British took refuge there. Yes, Sankaracharya, Chanakya, the staunch communist Bhagat Singh, who had rejected religion, figures in the list of great Indians. But can someone complain? After all, perhaps, the most well-known Hindu of all times, Mohandas Karamchand Gandhi, doesn't figure in this list either.